Human Resource Development is concerned with developing a particular skill to a desired standard by instruction and practice. Training is a highly useful tool that can bring an employee into a position where they can do their job correctly, effectively, and conscientiously. 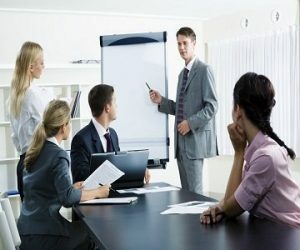 Training is the act of increasing the knowledge and skill of an employee for doing a particular job. In the Fast moving Business scenarios, companies/ corporate world need to be on the edge to deliver services to the client. And to be Latest in rapidly changing Technology world even employees need to embrace the new technologies/skills to not to become outdated. At MERITAS we help corporate world/ Employees to enhance the skills/ Freshers to get into the new technologies by providing career guidance to choose the right course.